Stitch sketch. A sketch I made of my favourite डिज़्नी character!. HD Wallpaper and background images in the डिज़्नी club tagged: stitch experiment 626 lilo disney fan art. A sketch I made of my favourite डिज़्नी character! This डिज़्नी fan art might contain मोबाइल फोनों के लिए, हास्य पुस्तक, मंगा, कार्टून, एनीमे, कॉमिक बुक, and manga. 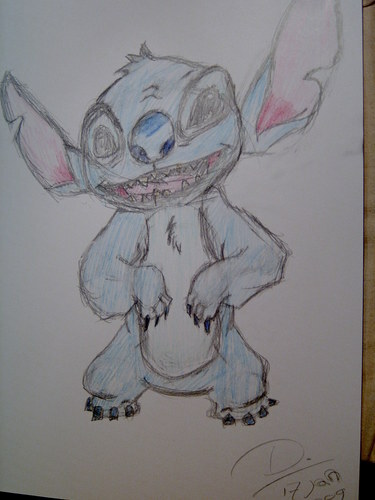 I know how hard it is to draw Stitch!